New play parts introduced. Large cardboard tubes and bases to hold them. Small cardboard/wood reels. 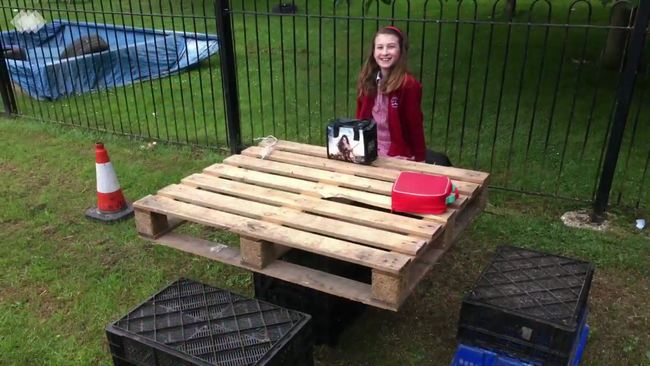 The children would love more plastic crates to play with. The bottle-crate kind are best as they are super strong but other crates are good also! If you have any or know of any companies who may donate some - we would be very grateful! First Aid Incidents down by 1/3! First aid incidents are down by around 1/3 since introducing OPAL play! In the month before we launched our new break times, 154 incidents were logged on our digital system (CPOMS). During the month directly after, this had dropped to 103! 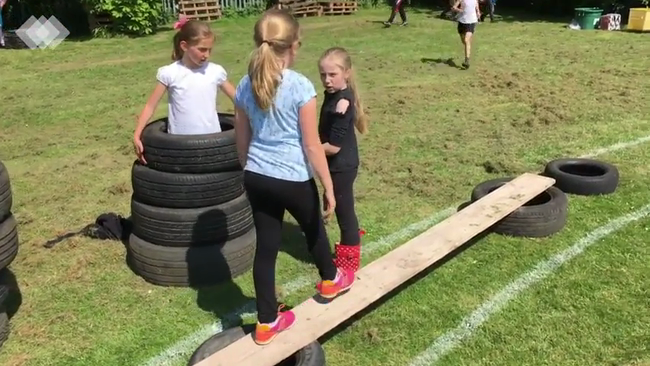 We want to reduce this even further so we have introduced more risk-assessing assemblies and sessions to teach children how to check if their play is 'too risky' and how they can improve their creations to reduce this risk. We have already witnessed children having really sensible conversations around making things stable and checking they are safe. Our children are very receptive! 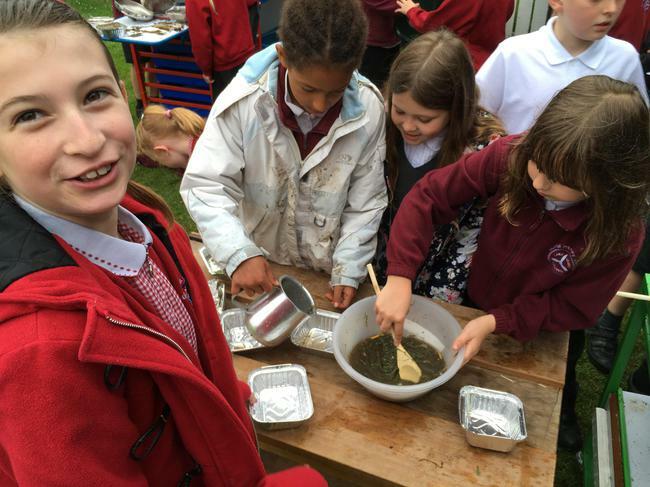 We have also reinforced the importance of washing hands after they have finished playing with the outdoor resources. Children are well aware of this anyway, but it never hurts to keep up the message. If they eat their pack-up outside, they are instructed to wash hands on the way out to dinner - eat their dinner first, then play. On the tidy up 'triple whistle', they are encouraged to wash hands again then so they are ready for learning when the final whistle goes. We will continue to have regular play assemblies to keep training children in various areas of play. Whilst the above are proving popular at the moment, we welcome ANY resources you believe have play value - as long as they are not sharp or are likely to shatter. 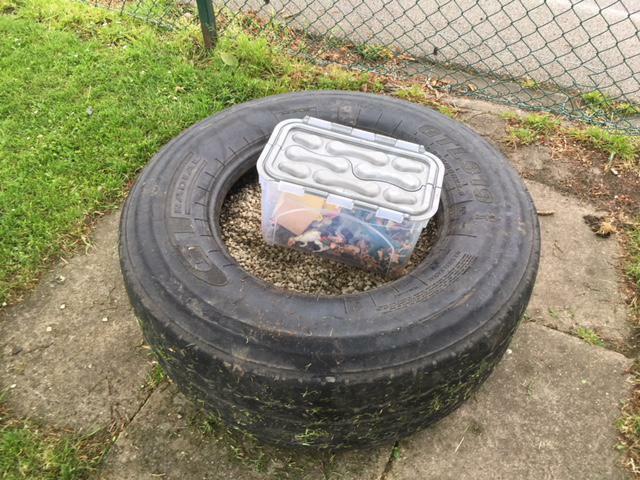 Either drop off next to out of school club (near container) - you may drive right up to it. Or, if the they are not weather proof, to the school office. 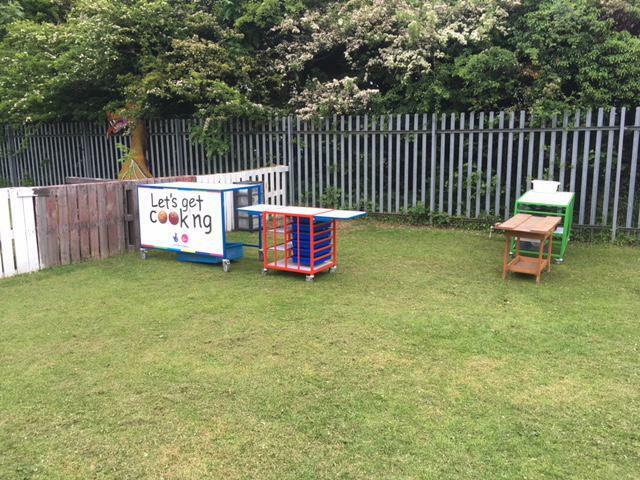 The HSE (Health and Safety Executive) promotes risky play! “That every child has the right to rest and leisure, to engage in play and recreational activities appropriate to the age of the child and to participate freely in cultural life and the arts." 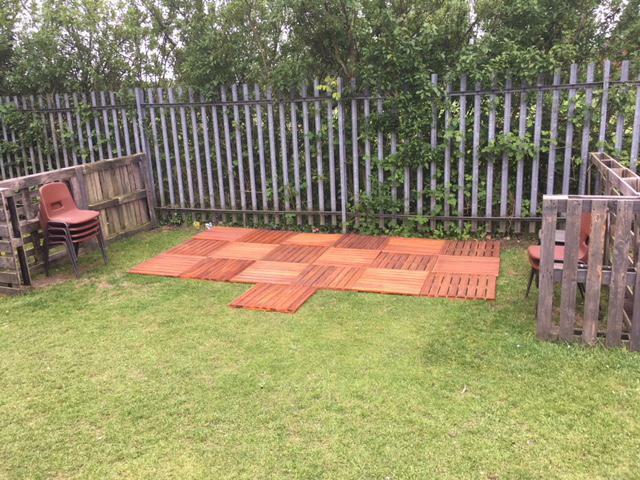 Even after such a short amount of time, we have seen playground problems almost disappear, first aid incidents dramatically reduce and children being much happier being outside! The only disagreements have been around there not being enough resources. We are always on the look out for more play resources. Please consider donating to school if you are throwing things away which have play value! 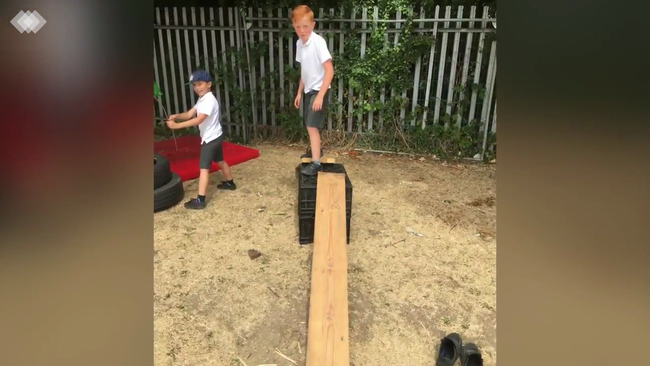 Below is a link to the HSE report on why risky play should happen in schools. Children are really enjoying the new playtimes (and so are the staff!). Watch the video to see what they have been up to. Wow! We launched our new play times on Monday and the children love them. It is great to see them engaged in free play across the whole site. You may have noticed your child has come home a little more dirty than normal as a result of their dinnertime fun. Should you wish your child to change their shoes or put on a jacket of some kind, send them with this and they can change as they go out. We hope you agree, a little muck is worth all the benefits of such great play times. There will be even more to come: this project is an ongoing, constantly evolving scheme. We will be having a parents' meeting very soon to share all of this with you. Thank you for your support! Here you will find all of our updates and developments to play times at Goxhill. 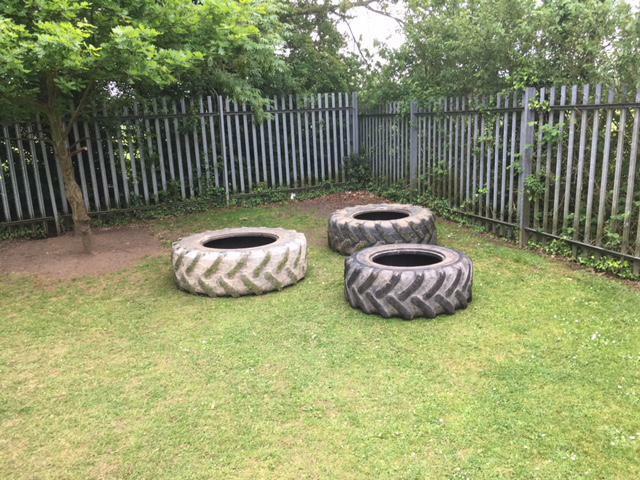 We are currently on our OPAL (Outdoor Play and Learning) journey to dramatically improve outdoor play and provision. With 20% of the school day being break times, we feel it is extremely important that the children have fantastic opportunities for play. 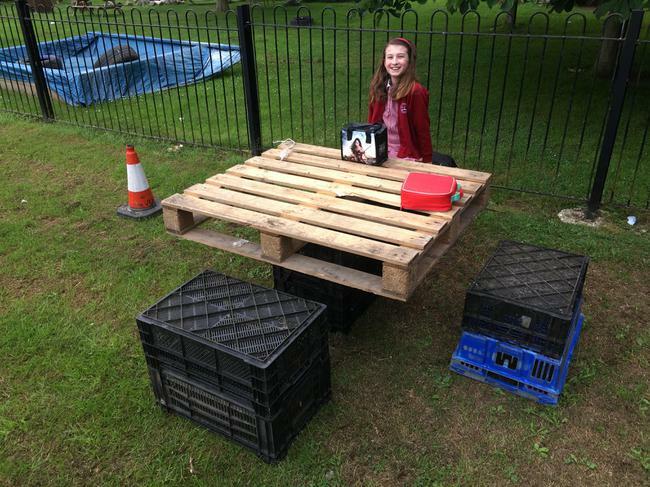 We have been trialing loose parts play, which will soon be available every dinner time. Here is a video of how it went.